I spent this past week in Atlanta attending the Shingo International Conference. If you aren’t familiar with Shingo, it is a model for enterprise excellence. It takes principles from several of the world’s leading experts like Shigeo Shingo, W. Edwards Deming, Taiichi Ohno, Joseph M. Juran, Eli Goldratt, and Jim Womack, just to name a few, and combines them into a framework to help organizations consistently deliver ideal results by creating a sustainable culture of excellence. Are universal and timeliness – they apply everywhere, always. Are self-evident – they cannot be invented, but they can be discovered through research and study. Govern consequences – regardless of how well we understand the principle, we are subject to the consequence of it. Help us to make more informed decisions. 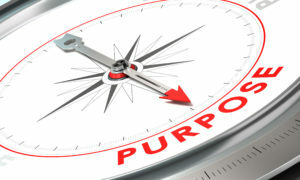 One of the guiding principles is to create constancy of purpose. Constancy of purpose is an unwavering clarity of why the organization exists, where it is going, and how it will get there, such that it enables people to align their actions, as well as to innovate, adapt and take risks with greater confidence. This is the true north, the vision, mission, values, etc. As we have studied the book of Acts over the past few weeks, I can’t think of another human being (except Jesus of course) who has ever demonstrated constancy of purpose better than the apostle Paul. We have seen it ever since we were first introduced to him at the end of Acts chapter 7. Before God got a hold of Paul’s heart, his unwavering purpose was to persecute Christfollowers. He was very effective at it. But Saul was ravaging the church, and entering house after house, he dragged off men and women and committed them to prison (Acts 8:3). After his conversion in Chapter 9, we watched a complete reversal. Paul’s purpose changed from persecuting Christfollowers to helping people become Christfollowers by placing their faith in Jesus Christ. Over the last seventeen chapters of Acts, have you watched how Paul took advantage of every opportunity to point people to Jesus? He had unwavering clarity of why he existed, where he was going and how to get there. With confidence, he took risks and aligned every action to point people to Jesus. By chapter 25, our text for today, Paul was on trial for wrongs he did not commit. The Jews were pressuring Festus, the governor of Judea, to transfer Paul from a prison in Caesarea to a prison in Jerusalem so they could kill him on the way (Acts 25:3). After Paul asserted his innocence, Festus gave him the option of being tried in Jerusalem. He did this primarily just to appease the Jews, as Acts 25:25 tells us Festus didn’t find Paul guilty of anything that would require him to die. Furthermore, Festus couldn’t even clearly articulate the charges against Paul. As a Roman citizen, Paul had the right to appeal to Caesar. But knowing he hadn’t done anything wrong, and there was really no evidence against him, why would he go to all this trouble? Why did Paul feel the need to appeal to the highest court? Why would he take this risk? The truth is, Paul didn’t appeal because he thought it would give him a better chance of winning his case. Rather, according to Romans 1:10, Paul wanted to go to Rome to carry out his purpose. He took the risk in order to give him the opportunity to lead more people to faith in Jesus Christ. This is constancy of purpose! Think about your own life. Do you have an unwavering clarity of why you are here, where you are going, and how you will get there? Do you take every opportunity to align your words and actions to this purpose? As much as I would like to, I know I don’t. Thank you God for Jesus Christ who forgives my sin, who covers my shortcomings, and who makes me perfect in your sight. On my own, I am hopeless.